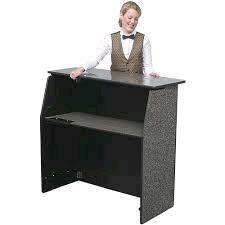 This portable folding bar is great looking and perfect for any occasion. It is really the ultimate portable beverage service with set up taking only a few seconds and without the use of tools. 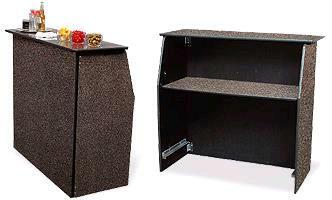 The bar provides generous storage space for use. It has a high-pressure laminate surface and durable plywood panels with vinyl edging. * Please call us with any questions you may have about our bar cocktail folding rentals in Petoskey, Northern Michigan & The Upper Peninsula.